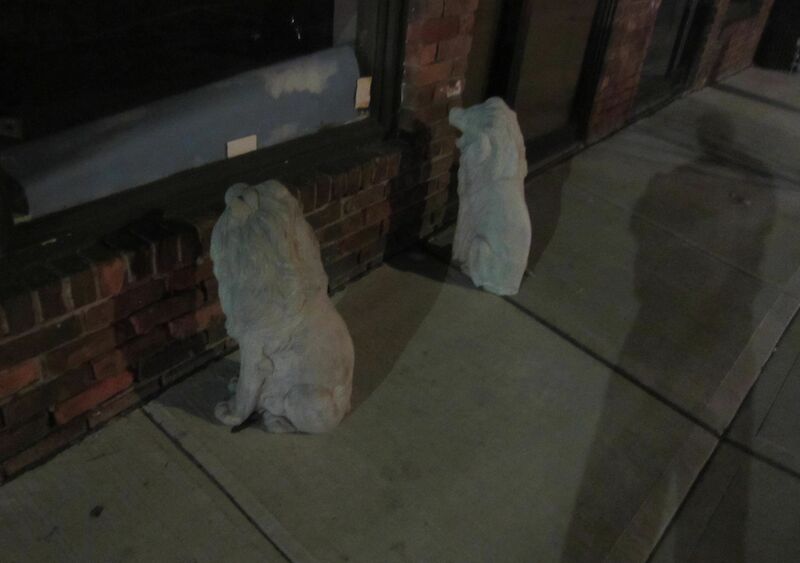 The store was closed, but the concrete lions seemed anxious to get in. This entry was posted in our furry overlords and tagged concrete lions. Bookmark the permalink.